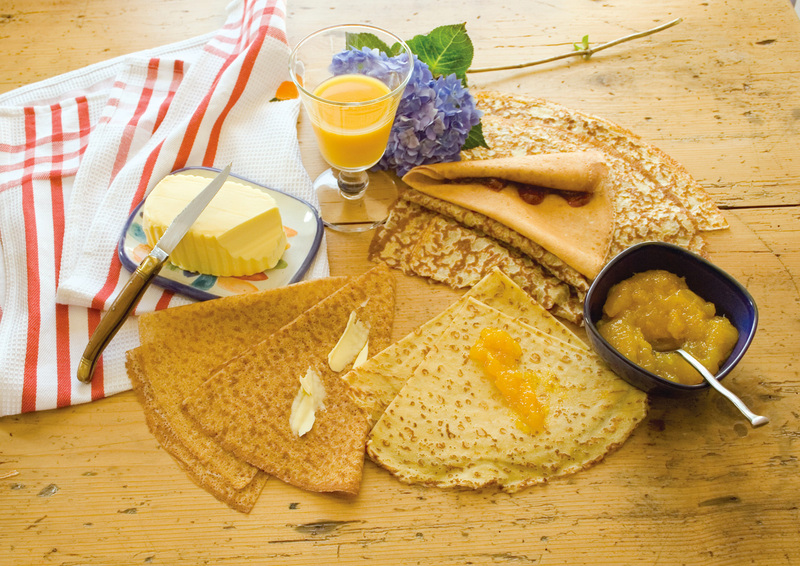 Enjoy the traditional crêpes and galettes (made with buckwheat flour galettes are a bit thicker and softer than crêpes) in one of the many crêperies of the area – including the Métairie de Kerozer that is 5 minutes away. You can also enjoy seafood platters in specialized restaurants. that mix tradition and modernity with local products for your pleasure. We can direct you to renowned Michelin starred restaurants as Le Pressoir and La Gourmandière – La Table d’Olivier (Less than 5 minutes away from Coët Bihan) . Some of these restaurants have been awarded stars by prestigious gastronomy guides. Oyster lovers Plateau d'huitres platesThe Gulf of Morbihan is a great oyster breeding area with an annual production of 10 000 tons, which represents 8% of the total French production.The Belon oyster which originates from the Gulf is the flagship product of this sector of activity. The Gulf always provides spats that are then bred on the spot, in Belon estuary (Finistère), in Cancale Bay(Ille et Vilaine) or in Quiberon Bay. Oyster connoisseurs will savour local oysters, wether they come from the open sea or the Gulf. If you wish we can organize visits to oyster farms where you will be able to taste different oyster species. 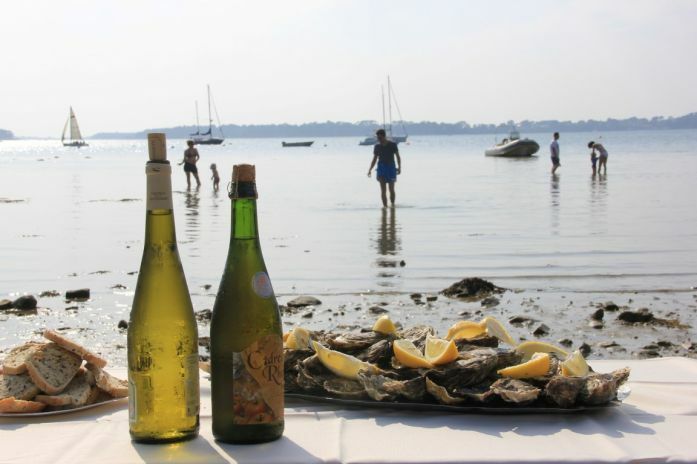 We can also, on demand, provide you with an oyster platter, to savour in the Domaine de Coët Bihan. The Gulf of Morbihan, a natural jewel, a maritime setting, the Domaine de Coët Bihan team is there to advise you throughout your stay. In just a few minutes, you can access all the services you would expect from a chef de département and the amenities of the medieval town of Vannes.